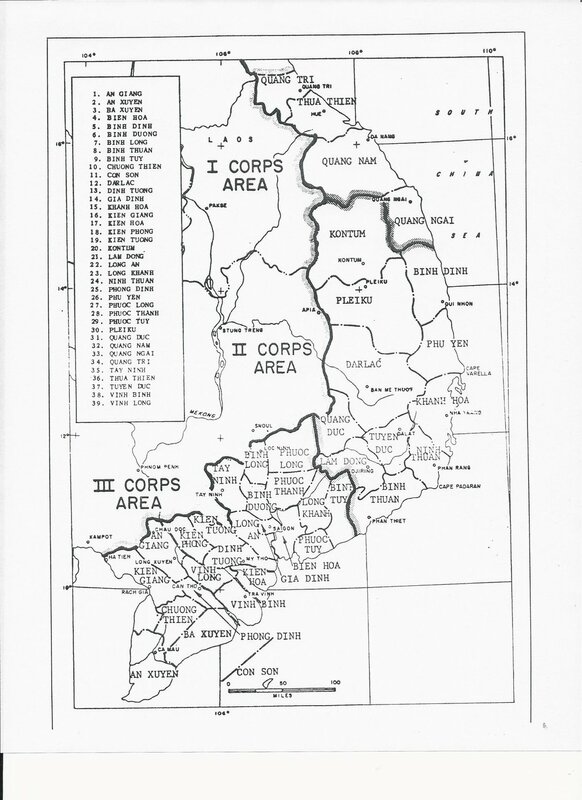 The falsification of the size of the Viet Cong and their performance on the battlefield for McNamara's Fifth SECFDEF Conference was accomplished with maps and a briefing book. Below are the maps that the Defense Secretary was shown. "Oh My God! We're not Showing that to McNamara"
This map depicts the March-April 1962 country-wide Viet Cong offensive that was hidden from McNamara by removing the dates during which it occurred from the briefing for McNamara. This true map was produced by the U.S. Army Pacific intelligence office (it was declassified by the Army Center for Military History at my request in 1988.) McNamara was given statistics for government operations for twice as many weeks as the Viet Cong in order to hide the largest Viet Cong offensive in South Vietnam up to that point of the war. See the next page for the relevant part of the briefing book prepared for McNamara. Much of the Viet Cong controlled areas were removed from the measles map in the III Corps Area in the Mekong Delta and around Saigon.